Work with us to evolve your product to the next level. Outsource your research in order to develop innovative products that meet the rising demand for miniaturisation across a wide range of technological areas. Our company has cross-disciplinary expertise in the areas of micro/nano fabrication, nanolithography, photonic application, optical devices, biotechnology and life sciences. It is most likely that we have performed something similar to what you are needing. Our R&D team provides technical assistance for the selection and qualification of nano-manufacturing solutions to fulfil our customers demands following a value chain approach from concept to commercialization. Nanoimprint lithography (NIL) relies on the embossing of a thin resist film using a mould/stamp containing the targeted patterns. Nanotypos offers feasibility studies and fast prototyping for the replication of macro, micro and nano scale features, components and devices. We offer customized services from the initial stamp/mould manufacturing up the material selection and final device fabrication. Our custom made imprinting tool can accommodate substrate of up to 200 mm in width and few centimetres in height operating in thermal and/or ultraviolet light assisted mode. 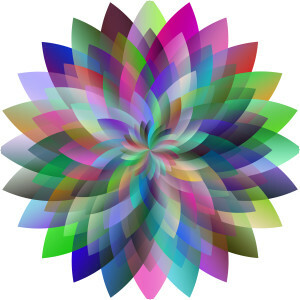 Our 15-year experience in nanoimprint lithography techniques guarantees innovative and creative solutions to custom requests. Either you need to imprint and transfer your desired structures on planar or free-form (3D) surfaces talk to us to find the best solution. The fabrication and mass replication of micro/nano structures and devices on flexible films has attracted strong interest for a wide range of applications and markets. 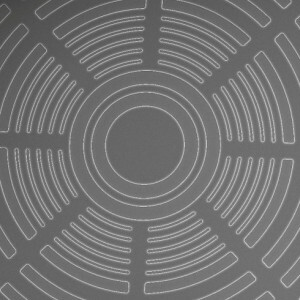 Our in-house pilot–line R2R production scheme is suitable for medium scale replication of micro/nano devices and structures on flexible foils. Our versatile and highly flexible equipment can be leased to customers to conduct their own test production runs. Our highly-experienced stuff will offer technical support to meet all requirements and needs from mould tooling to development of tailored materials and final production. We do not restrict our customers to minimum orders therefore we provide flexibility and feasibility to get the best solution. The main bottleneck of imprint based lithography processes is the high cost of the master mould and its risk to break. The approach to protect these ¨high¨ cost moulds is to replicate them in a hard material. Nanotypos offers Nickel electroforming services to create thin shims or thick tools for R2R processing or injection moulding manufacturing processes respectively. Our custom-made baths and extensive know how allows us to electroform planar and non-planar surfaces offering tailored made solutions meeting our client’s specifications and requirements. Injection moulding is a widely-used manufacturing technology to produce plastic components in a rapid and precise manner. 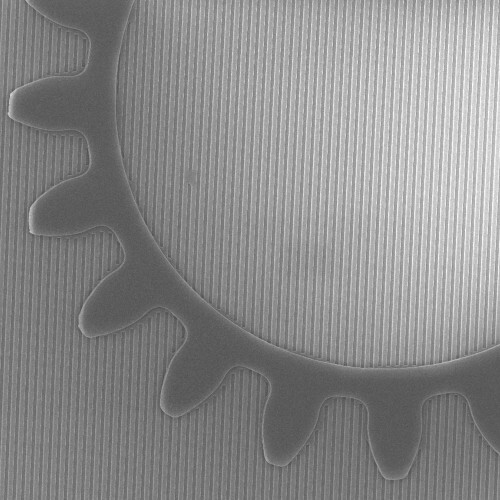 We combine injection moulding with advanced nano-lithography techniques to transfer micro/nano topographies on the surface of planar or free form objects. We have the know how to convert plastic components and objects to a level of applied functionality via micro/nano structuring. Thermal recombination else known as step & repeat embossing is an innovative process to upscale micro/nano topographies over large areas. The basis of using a small size stamp/mould (typically 2 cm x 2 cm) and recombining/replicating it over large areas is a niche way to generate inexpensively large format micro/nano structured areas. In conjunction with our graphic design team and master mould origination technologies we offer customized solutions for large area structured surfaces till the end nickel shim product.